Whether you are a walker, a jogger or a runner, we have the right app for you. Depending upon your goals and fitness level you can choose your activity and most relevant trackable metrics. Sensoria is committed to helping you improve form, performance, as well as speeding up recovery times after an injury. 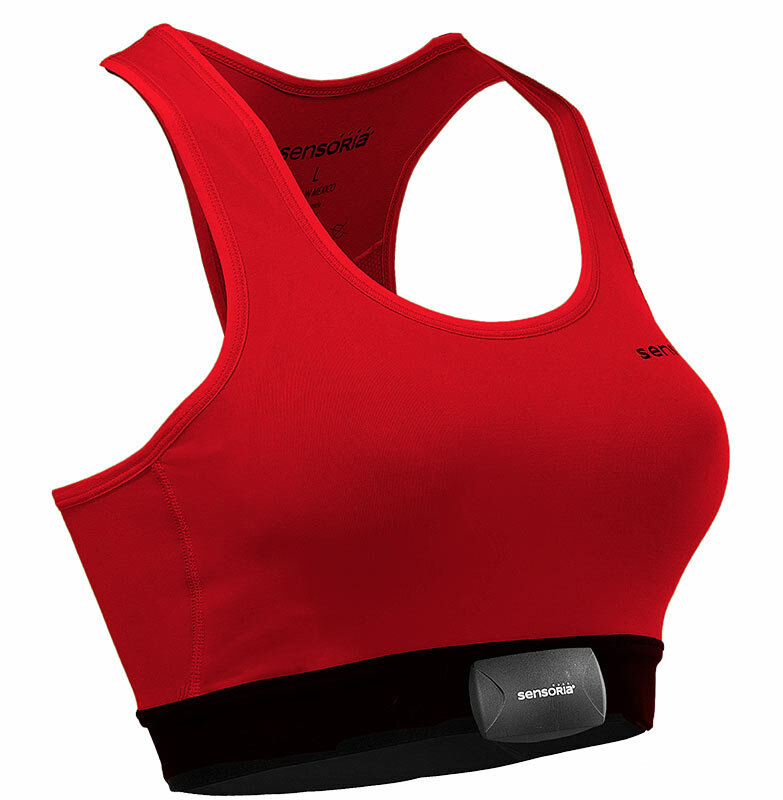 Sensoria offers a full range of smart garments for multiple activities. Our smart upper garments can monitor your heart rate while our smart socks can detect cadence, foot landing and impact forces. Shop now! Check out our new colors and styles. 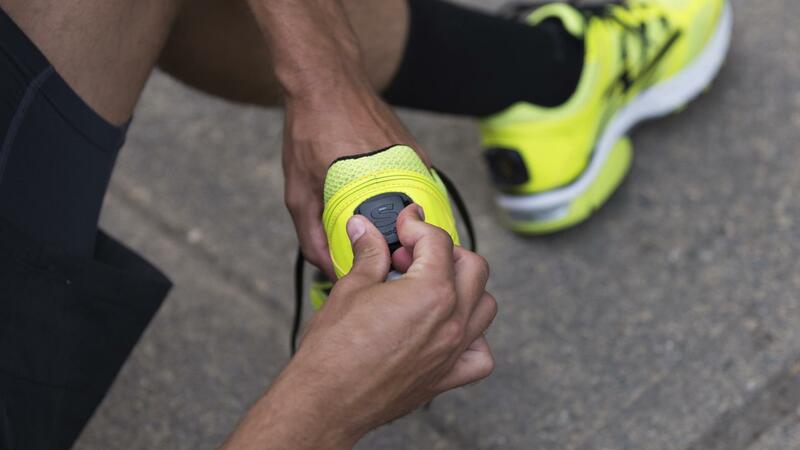 Sensoria® Core is the revolutionary technology platform that can IoT enable any smart garments and footwear allowing you to measure your performance with extreme precision. The Sensoria Developer Kit enables brands and developers to rapidly build solutions that leverage our technology platform and improve their products. Utilize this complete system to enhance your training from head to toe. The Smart Upper Garments provide real-time heart rate monitoring capabilities while the Smart Socks can help improve your running form by measuring cadence, impact forces and foot landing. 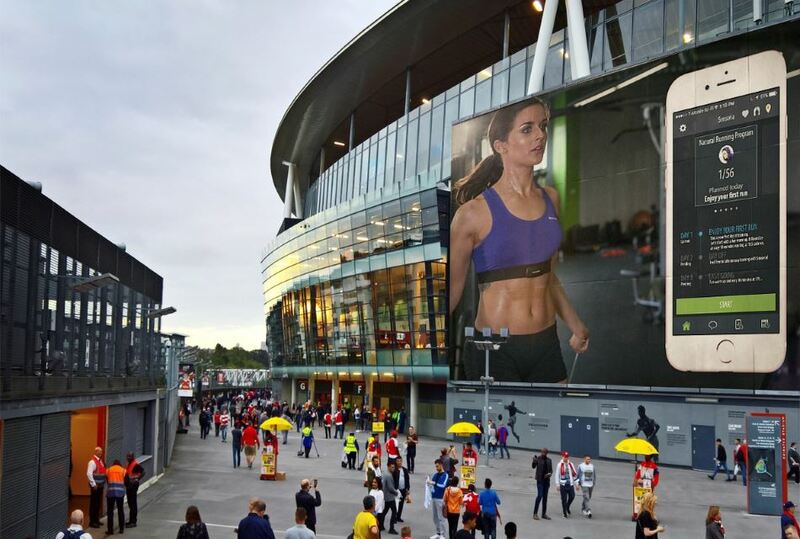 All connected by the Sensoria Run App which provides AI coaching and dashboard tracking. 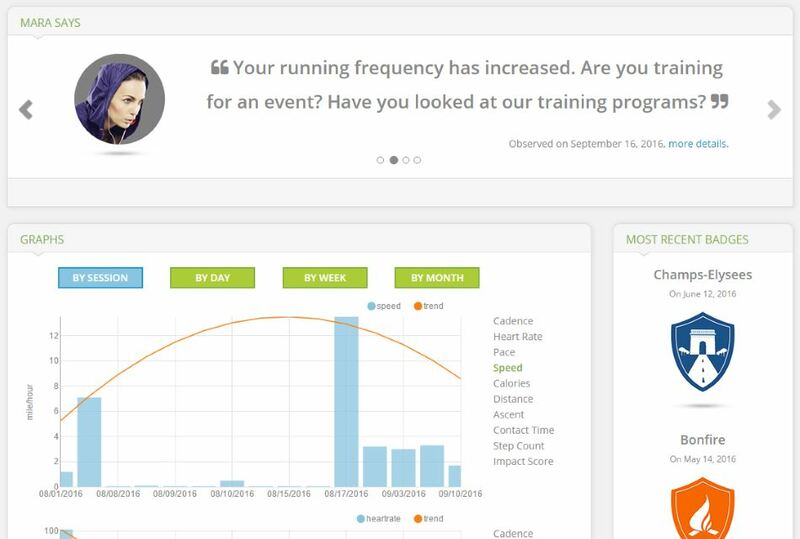 The NEW Sensoria Run v2.0 App provides you with access to our training plans! These programs allow you to set short term and long term goals, monitor your progress over time and provide you with real-time actionable feedback. 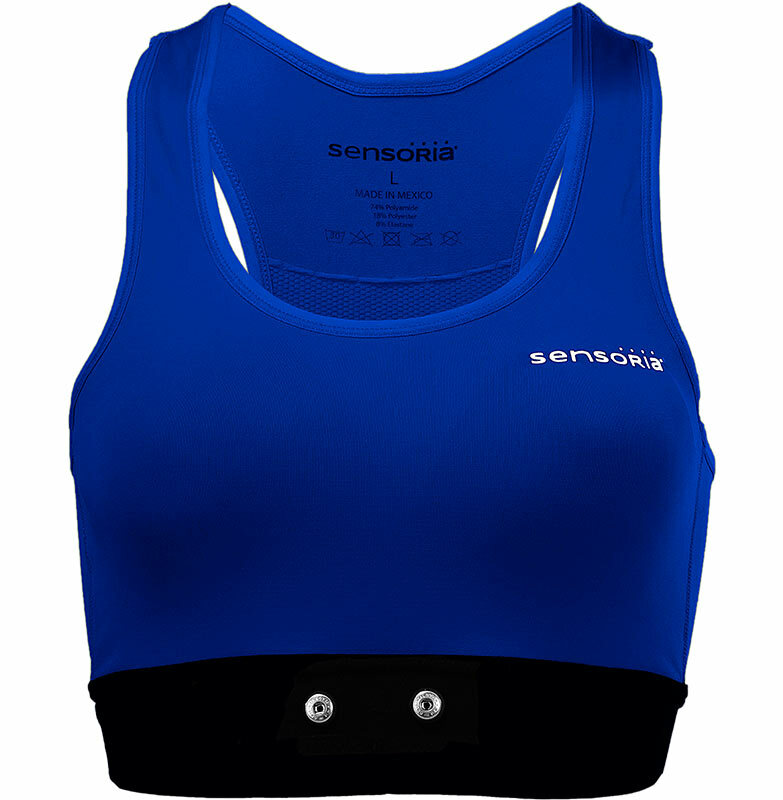 Sensoria’s proprietary software & sensors enable your garment to be the computer. The breathable, moisture wicking fabric allows you to work out in comfort. 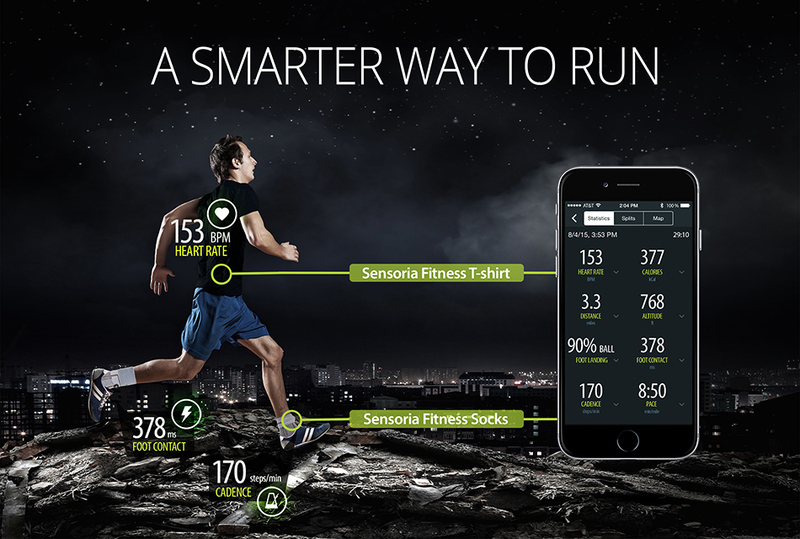 Sensoria® Smart Socks Not Only Tell You How Far and How Fast You Run, but How Well You Run! Infused with proprietary 100% textile sensors that detect parameters important to your running form, including cadence and foot landing. Washable electrodes are embedded in the fabric. Simply remove the heart rate monitor or anklet, toss your garment(s) in the washing machine & wash as normal. 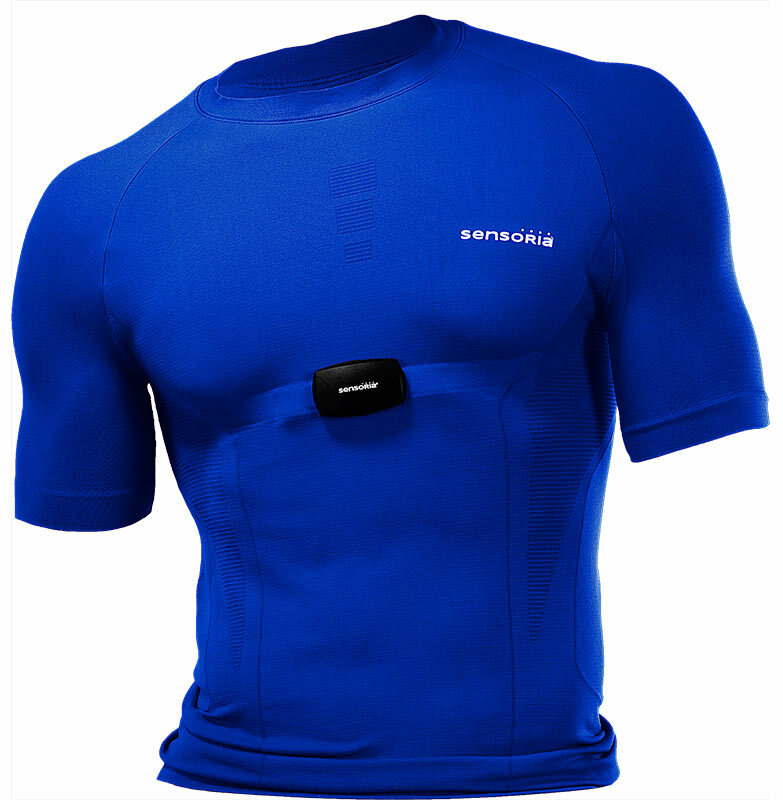 Sensoria garments transmit real time metrics to your smartphone or smartwatch. Reach target heart rate levels to make your workout more effective. Pair with the Sensoria Fitness app to get new training plans, or with any of your existing favorites including MapMyRun, Strava, PolarBeat, Endomondo & more. 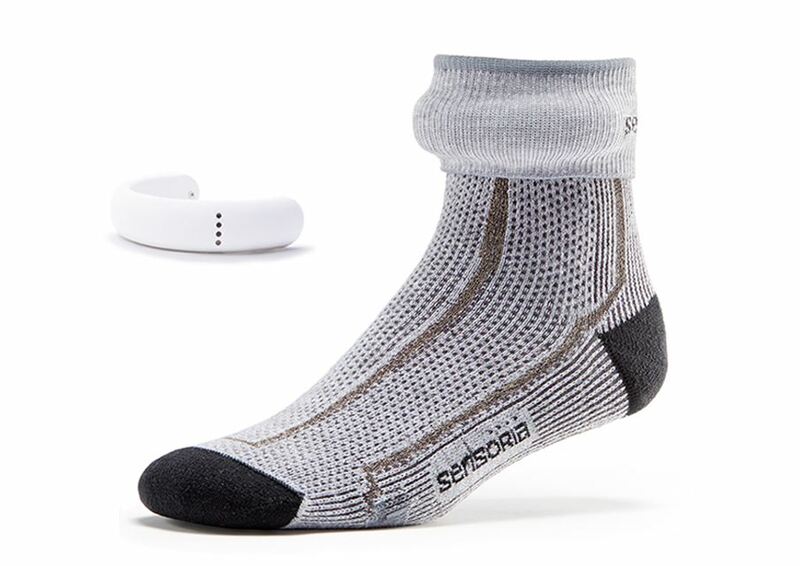 Sensoria is engineered to provide a comfortable compression feel with a sleek look. Garments are available in blue & red with more colors to come. Sensoria is designed for all levels of fitness enthusiasts. 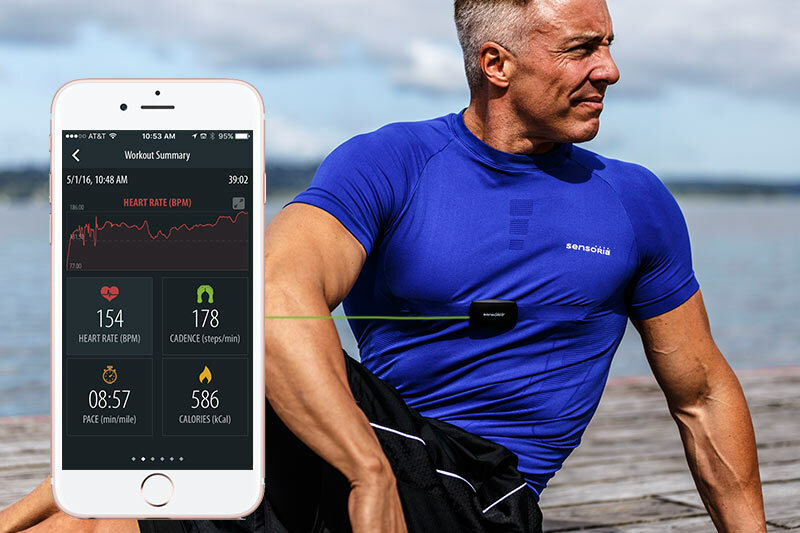 Whether your favorite regime consists of running, cycling, spinning, HIIT, or doing Cross Fit™, tracking your heart rate can help you maximize your workout. 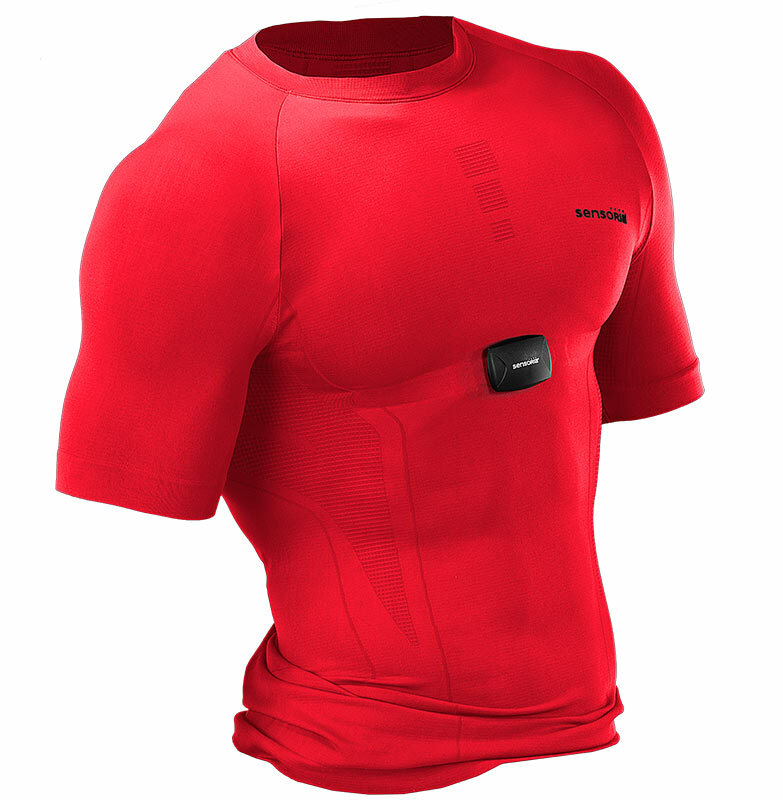 Sensoria provides you with actionable heart rate metrics without the need of uncomfortable and cumbersome chest straps. You can improve speed, pace, cadence and foot landing as well as compare your shoes – all with a sock. These smart socks have won numerous awards including “Best New Wearable Technology Device” by IDTechEX and Cool Vendors in Wearable Electronics, 2014 by Gartner®. Your virtual coach provides audio and video real-time feedback when you pair your Bluetooth® enabled anklet with the Sensoria® Run app which may also help to prevent injuries. Our AI coach, Mara, provides you with inspirational and customized suggestions. You earn cool badges for each specific milestone achievement. Your progress is tracked and trended and can be viewed by session, day, week or month. Your Virtual Shoe Closet compares your form and your results by shoe model, brand and style and will even let you know when it is time to invest in a new pair!